Hit the trail with https://www.bobwards.com/brand.cfm/western-chief's 2Pod Paramount Hiking Boots that feature Hi-Grip™ rubber lug soles for excellent traction in any condition and a mid-height design with durable synthetic upper. 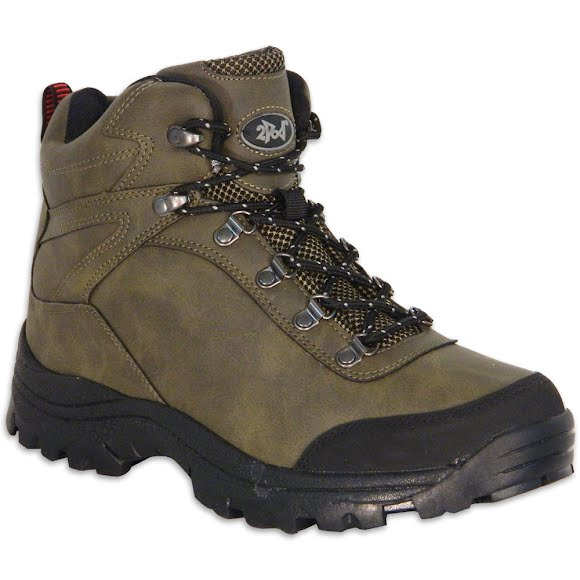 Hit the trail with https://www.bobwards.com/brand.cfm/western-chief&apos;s 2Pod Paramount Hiking Boots that feature Hi-Grip™ rubber lug soles for excellent traction in any condition and a mid-height design with durable synthetic upper. I had a set of Rocky's that started to come undone so I had to send them off, I should have them back in 4-6 weeks so I needed something in the meantime. I found these online for $22 with shipping so figured why not. I read several reviews for Western Chief rainwear but not much on their hikers. These are a decant boots, especially for $20 boots, I'd be willing to pay the full price for them though after having a pair.